Shaziah is using Smore newsletters to spread the word online. How does a different internet Service Provider affect the downloading speed of a specific music album? 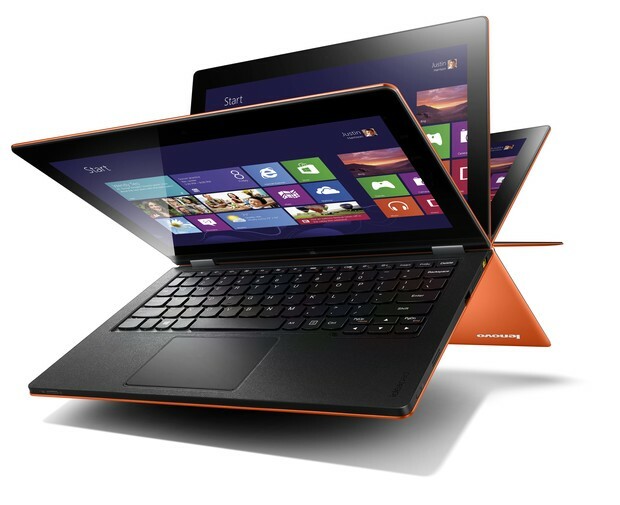 A) Dean Winchester wants to download an album of 14 Bollywood songs on his high-speed Lenovo IdeaPad Yoga 13 laptop. His computer's Internet Service Provider is Rogers. Roger's Internet plan suggests an approximate download speed of 8 Mbps (megabits per second). All of the music together will use 40 Mb on his hard drive. Approximately, how long should it take for Dean to download the whole album? B) Dean Winchester decides to call his brother, Sam Winchester. Dean challenges Sam to see who's computer will download the full album first. Sam Winchester has already downloaded 10% of the album, but decided to pause the downloading. He has the exact same laptop, but connected to Bell's Internet. Bell calculates an average downloading speed of 5 Mbps. If both brothers decided to start downloading at the exact same time, who will finish first? C) At what point will the brothers have downloaded the exact same percentage of the album at the exact same time? Does this point exist? 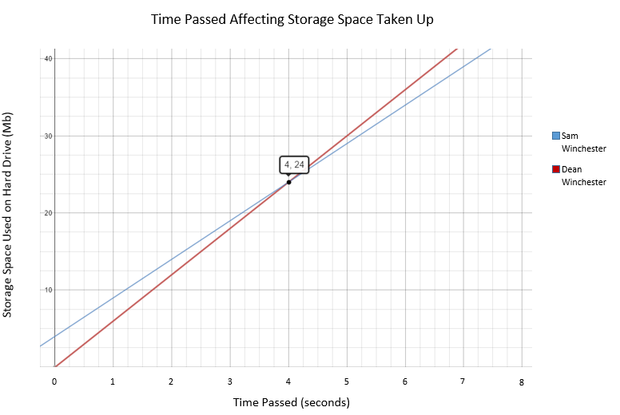 S=Storage space used, measured in megabytes. Therefore, it would take Dean Winchester 6.67 seconds to download the full album. Therefore, it would take Sam Winchester 7.2 seconds to download the full album. 7.2 > 6.67 It will take Dean less time to download the full album, so he would finish first. C) According to the graph, the point of intersection between both relationships is at the coordinates of (4, 24). This means that, after exactly 4 seconds, the brothers would have downloaded the exact same percentage of the album. At this point, the brothers have downloaded 24 Mb. Before 4 seconds, Sam Winchester has more of the album downloaded than his brother. After 4 seconds, Dean Winchester has more of the album downloaded, so he in winning. The point of intersection exists, as we can clearly see it on the graph. This is the point, where the value of Dean's equation surpasses the value of Sam's equation, even though Sam started with a "head start". This "head start" indicates that Sam started off with a y-intercept of greater than 0, having a partial variation. Dean, on the other hand, starts off with a y-intercept of 0, having a direct variation. In the beginning, Sam has more of the album downloaded than Dean does. 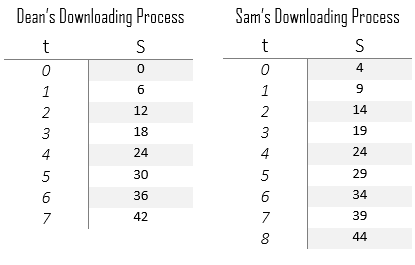 However, Dean accelerates at a faster constant speed, where he is able to outpace Sam's constant variation speed and finish downloading earlier.